Cyndi Lavin is one of those amazing writer/blogger/creative people I’ve met along the way in my writing travels who continually inspires me. She just finished writing the last chapter of a new ebook and she marketed it in a very clever way. I know you’re going to learn a lot from her. 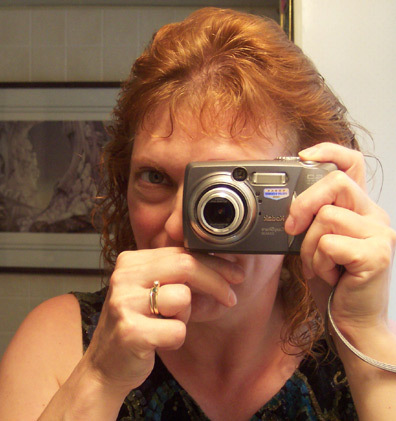 You write about everything from food to mixed media art to jewelry, and many things in between. There really are so many ways to be creative, aren’t there? When did you first become interested in art and creativity, and what was the one of the first things you made? Can you share some info on a favorite project you’ve completed? 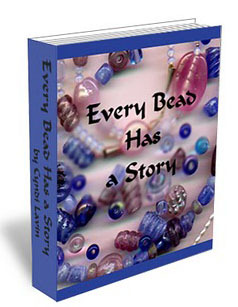 Let’s talk about your ebook, Every Bead Has a Story. You started offering this book chapter by chapter, which is a brilliant way to market (in my humble opinion). Why did you decide to do it that way? Thank you! I am not 100% sure that it is an original idea, but it was original to me to market it this way. I wanted to make sure that there would be enough interest to make it worthwhile doing, so I made the first chapter free. It is still free (and will continue to be), and contains all the basics that someone needs to know to get started with bead embroidery. From there, I produced the following chapters and launched them as each was ready: Altered surfaces, Dimensional beading, Found objects and unusual materials, and Fibers fabrics and beads. Now that it’s finished, I’m thinking about bundling the chapters together and offering them as a complete set, but I think I also want to continue distributing the chapters individually. This allows folks to only buy the parts they want, and at such a low price I don’t think it prevents anyone from getting the information that they desire. Since I don’t have a publisher, I could make the price *really* low. So that’s the official story on why I did it that way. Something I’m only admitting out loud now that it’s finished is that I also was too excited to wait until it was totally finished! 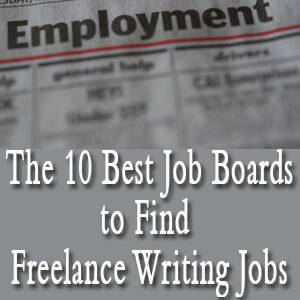 The work took years and years, and the writing took me a year…I was about to burst! Where can we get the book and what types of things will we find in it? Like I said, anyone can get the first chapter free to see if the artform is appealing before making any purchase. All the chapters are available on Beading Arts at this link: http://www.beading-arts.com/p/e-books.html. I’ve listed the chapter titles already, so I’ll just add that the whole book is about learning wonderful techniques, many of them from outside the world of beading, in order to enable the artist to tell the kind of stories with her work that she desires. Mixing “real” beads with found objects and other materials frees up the artist to really enjoy creating. On to books (our favorite subject here at Working Writers!). What’s the most interesting book you’ve ever read? Ohmygosh, I read so voraciously that I guess the answer to this is pretty much the same as “what’s my favorite project”: whichever book I happen to be involved with at the time. My all-time favorites are the Bible (yes, really), the Lord of the Rings series, and anything by Jane Austen. For modern authors, I really like Alice Hoffman, John Sandford, Jane Green, and Joanne Harris, and for pure escape, J.D. Robb and Janet Evanovich. 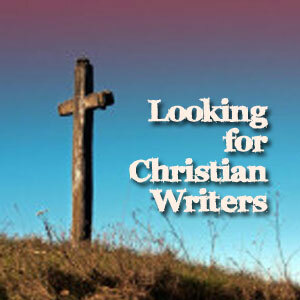 More than anyone will *ever* want to know can be found at these blogs and websites. If you want to be friends on facebook, just look me up as Cyndi Lavin. 4 Comments on "Interview: Cyndi Lavin"
You’re so right Cherie, Cyndi is truly inspirational! She’s an amazing artist, and so very generous to share all that she does with us! Cherie, Cyndi brings a lot of inspiration to “my” world! I love her work and her creativity. When you combine that with someone who shares her art and tecniques with everyone else…Now that’s one awesome lady! I’m another Cyndi fan. She has taught me so much about so many media. She’s incredibly talented as well as generous with help to other artists. What a great combo! I really enjoyed reading this interview. Thank you, Cherie. BTW, Cherie, I’m also enjoying your latest book of poetry, “New and Selected Poems”. As I read each poem, I either have a smile of recognition on my face or a tear of remembrance in my eye – sometimes both! It was a pleasure, Cyndi! You rock.